"FUNNY, SWEET AND HIGHLY ENTERTAINING!" "THE FINE ART OF TEACHING WITHOUT PREACHING IS IN GOOD FORM." Can the children change the Kraxishâ€™s menacing threats into deeds of kindness? Will they ever return to Earth before the referee blows his final whistle to end the football match? 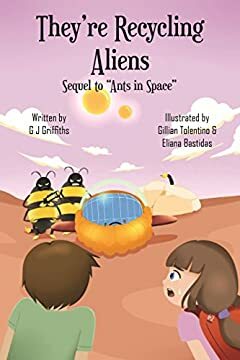 Intriguing technology and amusement aplenty await young and older sci-fi fans in this exciting sequel to â€œAnts In Spaceâ€!